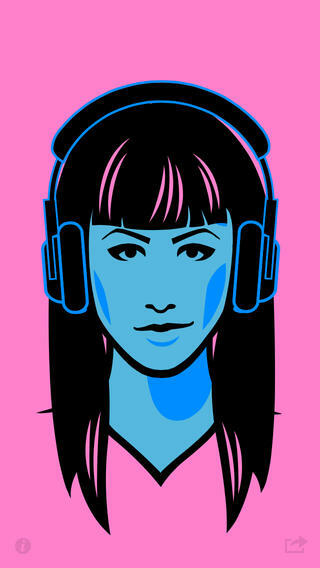 Another really fun and well designed avatar creator, this time focused on DJ personalities. Nice thick illustration style and colorful backdrops. Sharing via social usual.